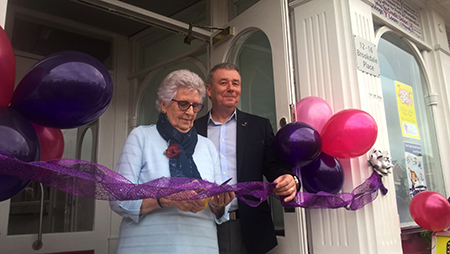 The West Cheshire Credit Union has officially opened its new premises in the city centre, directly opposite the main bus interchange in Chester. The service caters for everyone in the community wishing to save or borrow money. Residents within the borough may need to turn to credit leading up to Christmas and this is the safe and affordable way to do it. The Credit Union can be a life line for many residents in the borough who have limited or less than perfect credit history and are therefore unable to access mainstream financial services. If you would like to find out more about the West Cheshire Credit Union you can visit their website at www.wccu.co.uk or call them on 01244 399006. Cheshire West and Chester Council, Cheshire & Wirral Partnership, Muir Housing, For Housing, Sanctuary Group and Weaver Vale Housing Trust commissioned West Cheshire Credit Union in 2015 to provide practical saving and affordable lending facilities to residents and workers across the borough.